Forevermore Farm was purchased in 1999 by Dr. Jeff and Ren Wagner. 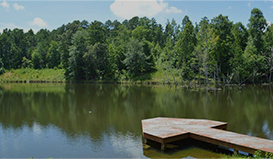 The home and farm was completely renovated by Dr. and Mrs. Wagner. They began their renovation with the house and then moved in with their family in 2001. 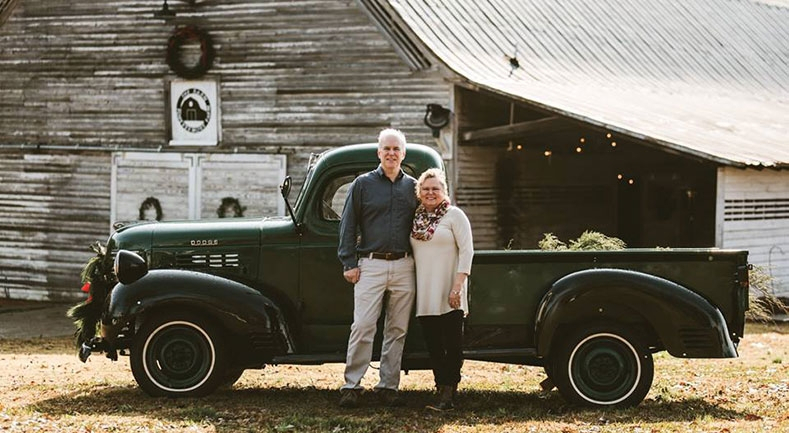 The family enjoyed many years on the farm and in 2014 one of their sons wanted to have his wedding reception in the old 1934 barn that was once used to house horses, donkeys, hay and farm equipment. 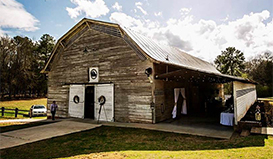 In Order to host a “wedding reception” in that old falling down barn it required a complete renovation. Jeff, Ren and Ren’s brother working together restored it. They finished in August 2014 two weeks before their son’s wedding. That was the beginning, the guest that came to their son’s reception started telling other folks and the calls and tours started coming in. In 2015 Jeff and Ren started designing “The Stables” which is also located at The Forevermore Farm. They completed that venue in March 2017. The Stables is a hand built barn as well. 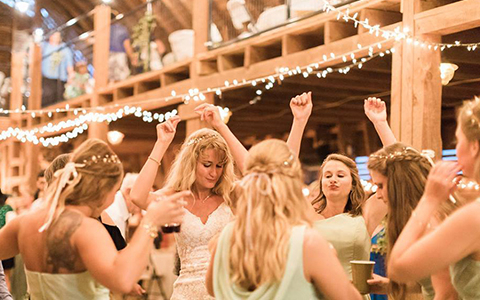 They are now home to two amazing barn venues which host weddings, receptions, corporate parties, birthday parties and other events. 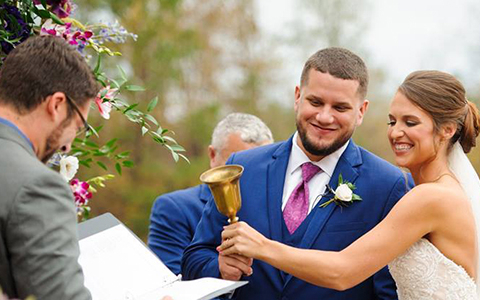 The Forevermore Farm is a full service, full time event venue which is also home to a full service flower shop which offers onsite and offsite wedding and event florals. The Farms saw barn is where they make all of the handmade farm tables that are used in the venues which are also available for purchase. 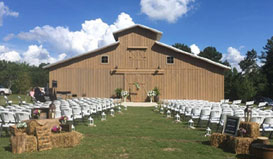 Located in Moore, SC this historic horse barn and farm is the perfect location for your event. A carriage house complete with a large bridal suite and a separate grooms quarters for the groom and groomsmen to relax and get dressed. The barn and its 1000 square ft deck provides plenty of indoor and outdoor space to enjoy the day. Beautiful sunsets await to provide a stunning background to your wedding ceremony. Striving to make your guest and your experience remarkably unforgettable. We have multiple services readily available for you. Proudly offering, Wedding Planning Services, Officiating, Handmade Farm Tables, Rentals, Bartending, Drapes & Designs and our Floral Shop.